Only The Gods Can Save The Romans Now AD 9, Germania. East of the river Rhine, tribes hostile to Rome prepare a deadly ambush. Their leader is the charismatic chieftain and trusted ally of Rome, Arminius, whose dream is to drive out the brutal invaders of his land. Pitted against him are veteran centurion Lucius Tullus and the Roman provincial governor, Varus. Together with three local legions, they leave their summer camp to begin the march back to the Roman forts on the Rhine. 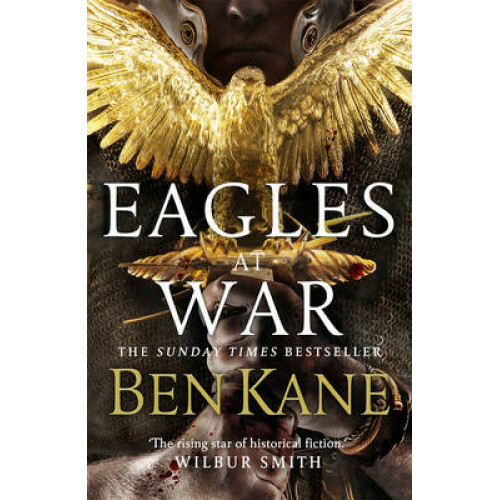 They have no idea that in the forests and bog of the Teutoburg, mud, slaughter and bloody death await..."This is historical fiction at its best." (Sunday Express). "Held me spellbound to its spectacular bloody end." (Manda Scott). "Gripping, brutal, brilliant." (Giles Kristian).